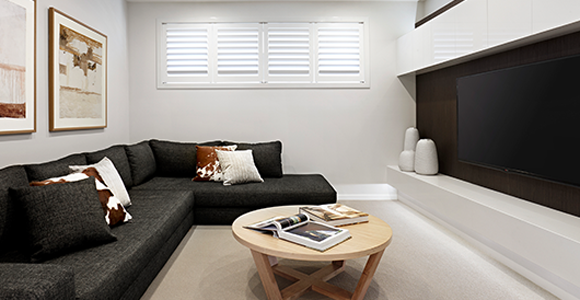 A ducted system is a versatile and effective way for the home owner to condition all areas of one’s home while adding a fully integrated system that is of a minimum visual intrusion to the home. A ducted system provides comfort to different sections and rooms by dispersing cool or warm air through ceiling or floor vents, that are connected with air conditioning ductwork to the central indoor system. The central indoor system is usually located within the confines of the roof area where it can be suspended and the air is recirculated from the return intake grille that generally is in a common area or the hallway. The outdoor system or condenser is located adjacent to the home and houses the compressor being the primary component of the system, while the system is designed being weather resistance and capable to challenge the Australian climate. 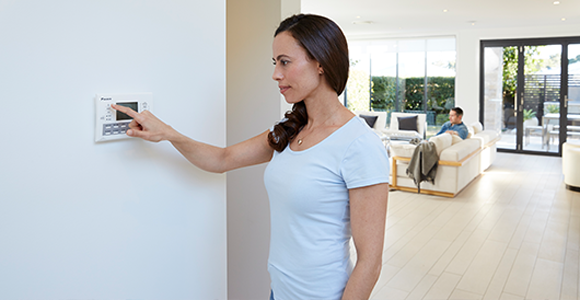 Ducted systems offer superb client controls, where the temperature can be controlled for both heating and cooling modes and the system can be sectioned into areas. Zones are the common reference used and typically a bed and night zone combination is employed where the client can switch the bedroom zone off during the day to save running costs when these areas are not being used. Additional zoning can be employed pending on homes being larger as well as homeowner’s requirements. Inverter technology has now become available with ducted systems allowing for variable output capacities for the client, this translates to an even more efficient machine and indoor temperatures that are more stable and constant then standard conventional compressor technology.